The Insurance Institute for Highway Safety (IIHS) is suggesting a mandate for side guards on all large trucks, according to a recent Associated Press article. Over 300 people died after being involved in side underride accidents in 2015, according to the IIHS. Underride guards are steel rails that prevent cars from going underneath tractor trailers when the truck merges lanes, makes a right turn, or stops suddenly in front of a passenger car. Underride accidents are so often deadly because when a car slides underneath a truck, the truck’s underside can shear off the roof of the car at the head or neck level of the driver and passengers. If a truck has underride guards, the car cannot pass under the truck, and the car's airbags deploy, protecting the driver and passengers. Are rear guard rails required on large trucks? Yes. Federal law requires rear guard rails on large trucks. According to the National Highway Traffic Safety Administration (NHTSA), there was an 83 percent decrease in fatalities from underride accidents in North Carolina and a 27 percent reduction in fatalities in Florida. The NHTSA notes that this is not enough to state that underride guards make a real impact on underride fatalities, possibly because of the sample size. However, the IIHS states that “underride guards on the rear of tractor-trailers have proven effective in preventing underride in crash tests” that it conducted. Has the IIHS done any testing on side guards? Yes. The IIHS recently tested AngelWing, a side underride guard rail made by Airflow Deflector Inc. AngelWing is a steel rail covered with fiberglass. In the IIHS test, the side underride guard rail successfully kept a midsize car traveling 35 miles per hour from going under the truck when the car struck it from the side. The air bags deployed and the seat belt engaged, protecting the test dummy in the vehicle. The IIHS ran the same test again with no side guard rails. When the car went under the truck, the underside sheared off the top of the passenger vehicle. The test dummy's injuries would likely have been fatal to a live human. What are those white side guards that many trucks have? Those are not side guards. They are called aerodynamic skirts and help the trucking companies save fuel on runs. They do not keep cars from going under large trucks and do not cause car airbags to deploy. What does the trucking industry say about the need for side guard rails on trucks? 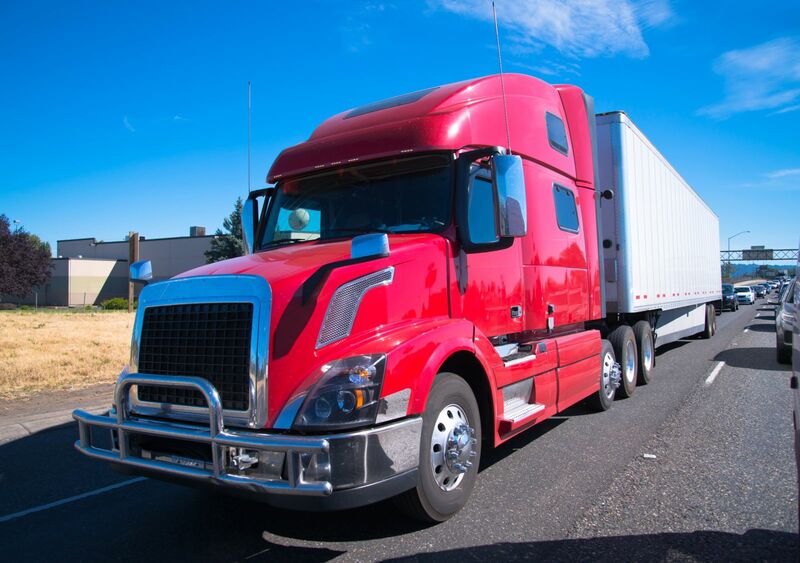 The trucking industry does not support a requirement for side underride guards because they will add weight to vehicles. It recommends, instead, to avoid crashes through the use of safety technology such as automatic braking and electronic logging devices to track drivers of large trucks. This pushback from the trucking industry could mean that we will not see these side guards for years to come. However, as always, we keep an ear out for anything that might affect you or your safety on the roads. As soon as we know anything more about side underride guards, you will too. For more information on road safety, check out our blog.